This multi-purpose, ozone-safe correction fluid works on ballpoint, rollerball, and felt tip marker ink, plus photocopies, computer printouts, typewritten documents, and handwritten originals. 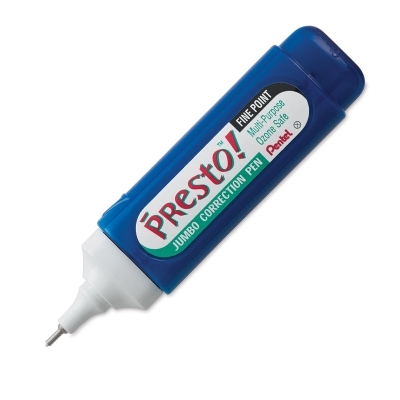 The fine point metal tip on the Pentel Presto! Jumbo Correction Pen is ideal for making corrections on small print and details. The white fluid covers errors neatly and dries quickly to a silky-smooth finish. 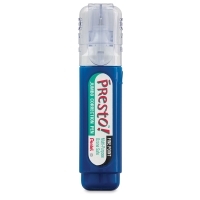 ® Pentel is a registered trademark.™ Presto! is a trademark.